The exact day of release is still unknown.. But it's expected to be released at the end of November. AnonD-73347, 26 Sep 2012about 26-30k when it arrive in the philippines and i already have that money ^_^ im only waiti... moreIs price is sure? Because even me i do like ths phone and i am waiting for its release date. I Hope the price will be lower than 22k. And by the way r u filipino? Anonymous, 27 Sep 2012No according to sonny the price of xperia v will be in the same range of the current xperia S.... moreis this real? r u a filipino ma friend? However, this phone is still superb!! AnonD-68979, 26 Sep 2012can anyone tell me about the release date of this phone,........... it looks great,,,....this beast beats xperia TX on paper, does it sport gorilla glass protection or dragon trail? Am waiting for this one, wonder why its been regarded as a ''mid range'' fon?!?! 1) Bluetooth 4.0 (the Xperia T has Bluetooth 3.1). 2) Mobile BRAVIA Engine2: An evolution of Mobile BRAVIA Engine delivering an ever better viewing experience by adding a new real-time contrast optimisation and improving sharpness enhancement on top of high quality colour management and noise reduction. 3) ClearAudio+ mode: Developed with Sony’s own signal processing technologies, allows users to effortlessly enjoy audio quality that may have been stripped away by music compression. ClearAudio+ mode incorporates a variety of Sony’s sound technologies, but with one simple operation, users can easily enjoy Sony recommended sound in ultimate clarity and presence, across the entire spectrum of sound. 4) HDR (High Dynamic Range): The camera quickly captures the image twice with different exposure levels and layers it together to create one optimised photo. HDR is automatically activated when Superior Auto detects scenes with strong backlight. 5) Superior Auto: Technology used in Sony Cyber-shot Digital Cameras that intelligently detects scenes (up to nine scenes), sets most optimal settings for still image, and applies best image processing including layered technology (up to four photos), making it easy to get the best shot even in a dark or backlight scene. After reading all of this, which phone sounds like the flagship to you? 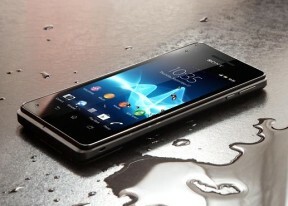 Sony has clearly featured most of its new technology exclusively into the Xperia V, so for us, we see it as the real flagship despite what Sony says. AnonD-70049, 26 Sep 2012Dear, Sony Mobile! Please, extend the internal memory into 16/32/64 GB, secondary camera in... moreyou cant have it all men. Anonymous, 27 Sep 2012this beast beats xperia TX on paper, does it sport gorilla glass protection or dragon trail? 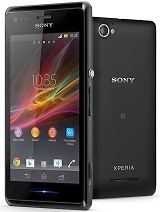 A... morea non removable battery and no shutter key..thats the problem with this xperia..ill still go for xperia tx.